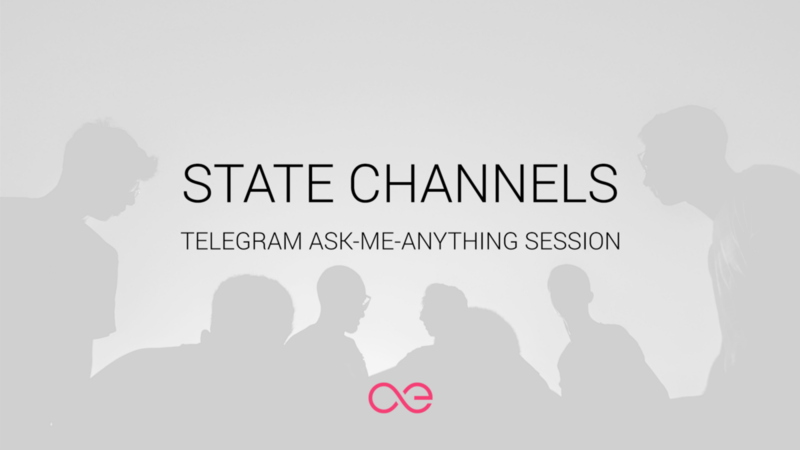 Dimitar Ivanov from the AE core development team will answer questions in Telegram regarding æternity’s state channels. If you have any questions for Dimitar, add them below and we will make sure they get answered during the AMA. Hello,Vlad and the AE Team.Do you know Ethereum’s state channels technology? What are the advantages of æternity’s state channels technology compared with Ethereum’s state channels technology. What’s the development status of POS governance and when these founction can be used? 1, the current AE’s mining power is concentrated in 2-3 mining pools (such as beepool has exceeded 60%), such situation may bring 51% attacks? Besides the 51% attack, will there be other issues? 2. What is the official attetudeto such situation of mining power? Do they consider that such a situation may lead to people’s criticism of Ae? For example, AE was heavily increased in the first year, and most of the additional is obtained by a very small number of mines, which seems to be purposefully transported to the interests of a few miners. When user friendly aepps come out? Do you have an estimated date? Can you show some demos which can show the advantages of the state channels? Do you have any plan for marketing in China? It’s a very promising market. We hope you’ve enjoyed the session, more AMAs to come soon!